Option 1: Exit early! Take exit 178 and use Cnty R instead of Highway 43. 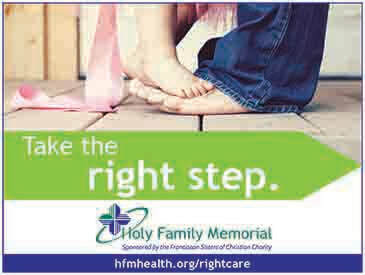 See details at right. 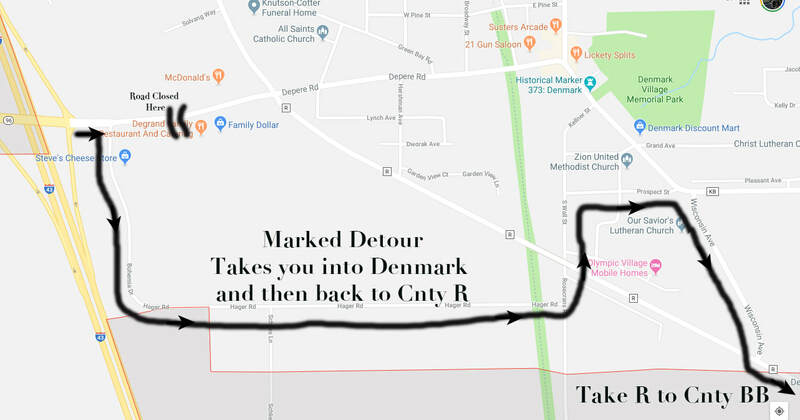 Option 2: Exit at Denmark and follow detour through town. It's a little funky but if you're familiar with the area this will work for you. Map below. The Forst is located at the stop sign in historic Tisch Mills. 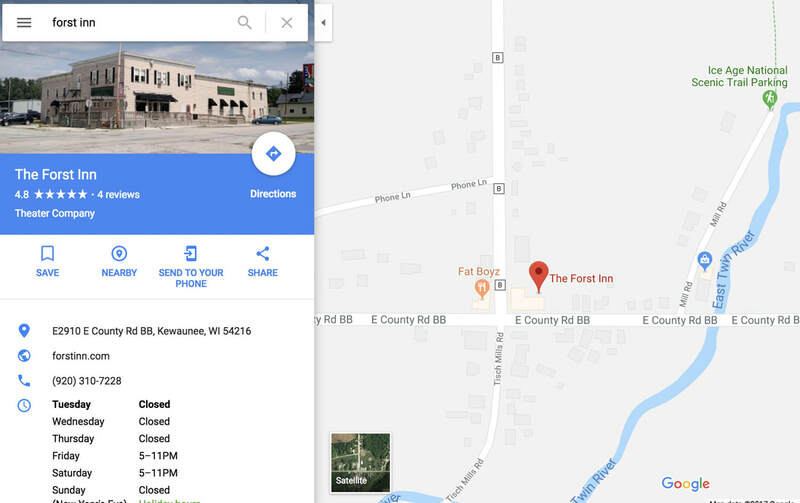 "The Forst Inn" or "E2910 County Road BB 54216"
Or click the map image. From the Northwest (Green Bay) Normally we recommend taking 43 to Denmark; however, there is a detour in Denmark right now. Your best option is to use exit 178 and connect with Main Street. That way, you simply run down Cnty R rather than following 43. Details: From Green Bay, on 43, at exit 178, turn left (north) onto US-141 N (signs for WI-29) and after 0.4 miles take a sharp right (southeast) onto County Rd R/Main St. Continue to follow County Rd R for 10.4 mi through Denmark and then turn left onto W County Rd BB. Proceed straight for 8.2 miles to Tisch Mills. If you decide to exit at Denmark, a map is included at left showing the Denmark detour. The detour has some rough spots, so if you can do it, take the alternate route detailed above. From the Southwest take 43 north to exit 154. Follow 310 east to County Road B north. Follow B north through Shoto and Mischicot to County Road BB. Turn right on BB and proceed into Tisch Mills.